I think I've found a new love. Bundt Cake. 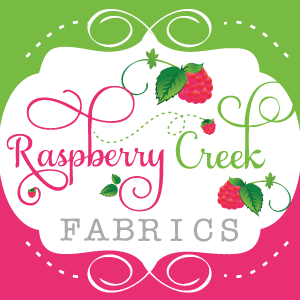 But before we get started-- have you entered the Southern Fabrics Giveaway yet? There's just one day left! Yes, bundt cake. Having a lot of family around means that we (thankfully!) have quite a bit of birthdays and anniversaries to celebrate each month. I am constantly looking for a cake that feels like a celebration but can still be something I feel good about feeding my kids, parents, grandparents and aunts and uncles. I've made my peace with cake mixes, but I know that frosting from a can is super unhealthy. This is the first time I've made a bundt cake, and I'm in love with the idea! After a bit of research I learned that bundt cake pans were invented in the 50's They are supposed to be quicker to make since you don't need to frost or layer them. I found out that there are so many gorgeous variations on the pan like rose shaped and even a castle shaped pan! So, instead of actually frosting the cake, I just dusted some powered sugar all over. Amaani was convinced it was snowing! I also drizzled some tinted (pink of course) white chocolate and some sprinkles (pink of course) over top while little miss was cleaning up. Although we didn't have a party, Amaani was absolutely thrilled with her pink, pink, pink cake. Can you guess what flavor it was? If you guessed strawberry, you were right. We used a Betty Crocker mix. The cake was pink through and through, just like my little girl. I will absolutely be using my bundt cake pan over and over! What about ya'll, do you bundt? Any favorite recipes? Spam me please!